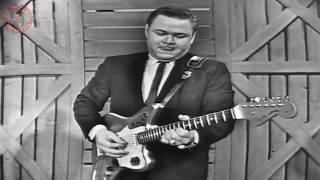 Get Roy Clark essential facts below. 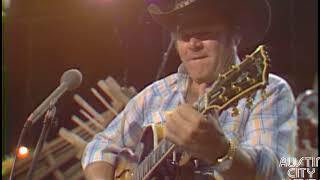 View Videos or join the Roy Clark discussion. 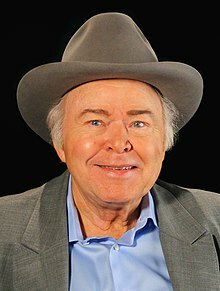 Add Roy Clark to your PopFlock.com topic list for future reference or share this resource on social media. Clark was born in Meherrin, Virginia. Roy grew up in Staten Island, New York and lived as a teenager in southeast Washington, D.C., where his father worked at the Washington Navy Yard. 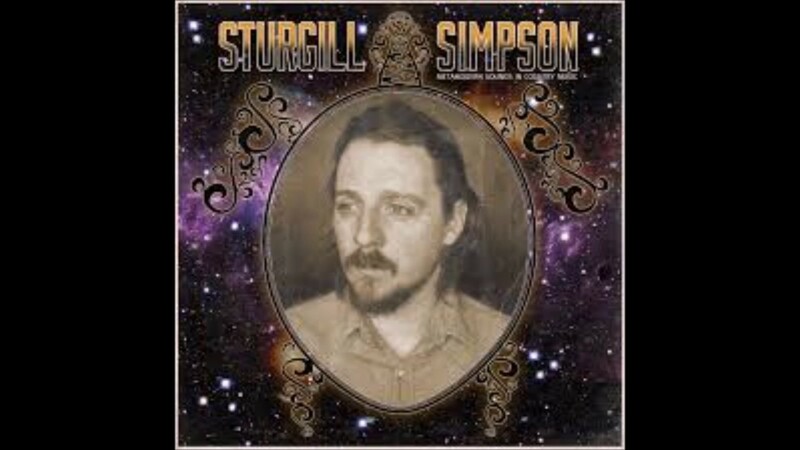 At 14, Clark began playing banjo, guitar, and mandolin, and by age 15 he had already won two National Banjo Championships and world banjo/guitar flatpick championships. He was simultaneously pursuing a sporting career, first as a baseball player and then as a boxer, before dedicating himself solely to music. At 17, he had his first appearance on the Grand Ole Opry. At the age of 23, Clark obtained his pilot's license and then bought a 1953 Piper Tri-Pacer (N1132C), which he flew for many years. This plane was raffled off on December 17, 2012, to benefit the charity Wings of Hope. He has owned other planes, including a Mitsubishi MU-2, Stearman PT-17 and Mitsubishi MU-300 Diamond 1A bizjet. By 1955, he was a regular on Jimmy Dean's Washington, D.C., television program. 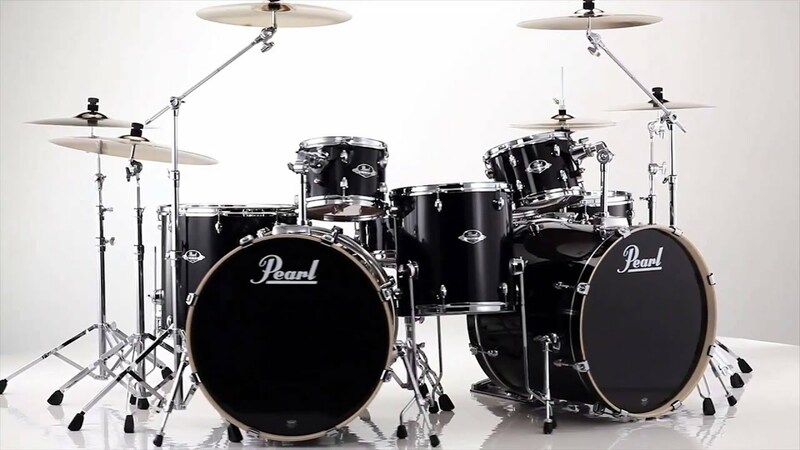 Dean, who valued punctuality among musicians in his band, the Texas Wildcats, fired Clark for habitual tardiness, telling him, "You're the most talented person I've ever fired." Clark married Barbara Joyce Rupard on August 31, 1957. In 1960, Clark went out to Las Vegas, where he worked as a guitarist in a band led by former West Coast Western Swing bandleader-comedian Hank Penny. 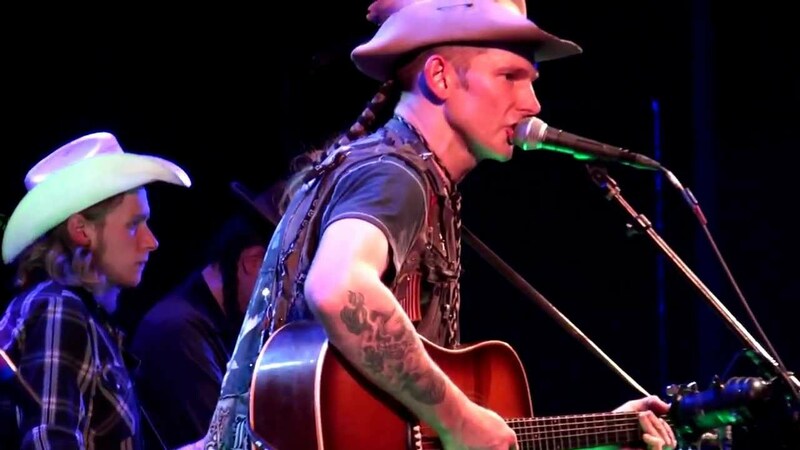 During the very early 1960s, he was also prominent in the backing band for Wanda Jackson--known as the Party Timers--during the latter part of her rockabilly period. 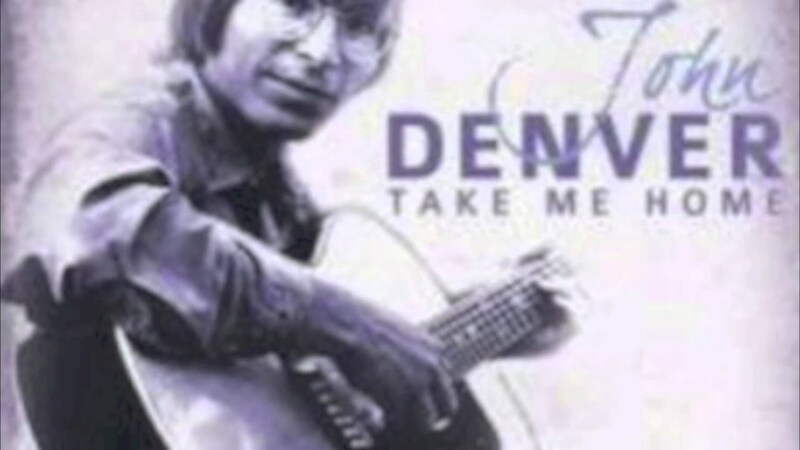 When Dean was tapped to host The Tonight Show in the early 1960s, he asked Clark to appear, introducing him to a national audience for the first time. Subsequently, Clark appeared on The Beverly Hillbillies as a recurring character (actually two: he played businessman Roy Halsey and Roy's mother, Myrtle). Once, in an episode of the Sunday evening Jackie Gleason Show dedicated to country music, Clark played a blistering rendition of "Down Home". Later, he appeared in an episode of The Odd Couple, where he played "Malaguea". 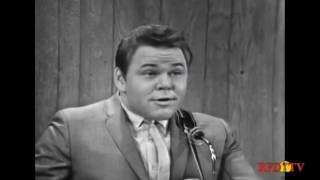 In the mid '60s, he co-hosted, along with Buck Owens, a weekday daytime country variety series for NBC entitled "Swingin' Country", which was cancelled after two seasons. 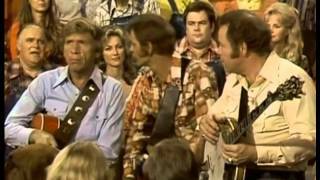 In 1969, Clark and Buck Owens were the hosts of Hee Haw. The show was dropped by CBS Television in 1971 but continued to run in syndication for 21 more years. During its tenure, Clark was a member of the Million Dollar Band and participated in a host of comedy sketches. 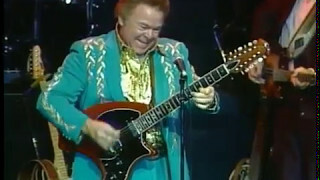 In 1983, Clark opened the Roy Clark Celebrity Theatre in Branson, Missouri, becoming the first country music star to have his own venue there, thus beginning a trend which led to Branson becoming a center of live music performance, as it is today. Many of the celebrities who play in Branson first performed at the Roy Clark Celebrity Theatre. Clark frequently played in Branson during the 1980s and 1990s. He has since sold the venue (now owned by the Hughes Brothers and renamed the Hughes American Family Theatre) and gone back to a fairly light touring schedule, which usually includes a performance with Ramona Jones and the Jones Family Band at their annual tribute to Clark's old Hee Haw co-star Grandpa Jones in Mountain View, Arkansas. In addition to his musical skill, Clark has often displayed his talents as a comedian and actor. During his years on Hee Haw, Clark entertained with numerous comedy sketches, including a recurring feature where he played the reservation desk clerk of the "Empty Arms Hotel". Clark released several albums of his comedic performances, to varying critical acclaim and commercial success. Clark is one of the few surviving regular male cast members from the show. Clark is married to his wife Barbara whom he married in 1957 and they have 4 children. For many years Clark has made his home in Tulsa, Oklahoma. Roy Clark Elementary School in Tulsa's Union School District was named in his honor in 1978. Fellow Oklahoma resident Mickey Mantle arranged for Clark to sing "Yesterday When I Was Young" at his funeral (which Clark did in 1995). Clark published an autobiography, My Life in Spite of Myself, in 1994. On May 17, 2009, Clark was inducted into the Country Music Hall of Fame along with Barbara Mandrell and Charlie McCoy. On September 23, 2010, Clark sang "God Bless America" during the seventh-inning stretch at Dodger Stadium in a game featuring the Los Angeles Dodgers versus the San Diego Padres. On April 12, 2011, Clark was honored by the Oklahoma House of Representatives. He was honored by the Oklahoma Music Hall of Fame as Oklahoma's Music Ambassador for Children and presented with a commendation from Oklahoma Governor Mary Fallin. Fifty Years of Country Music (1978) CBS television special, featuring Clark, Dolly Parton and Glen Campbell as co-hosts. 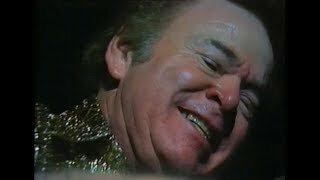 ^ "Roy Clark". Opry.com. Retrieved 2012. ^ "Opry Member List PDF" (PDF). Opry.com. April 23, 2012. Archived from the original (PDF) on June 7, 2012. Retrieved 2012. 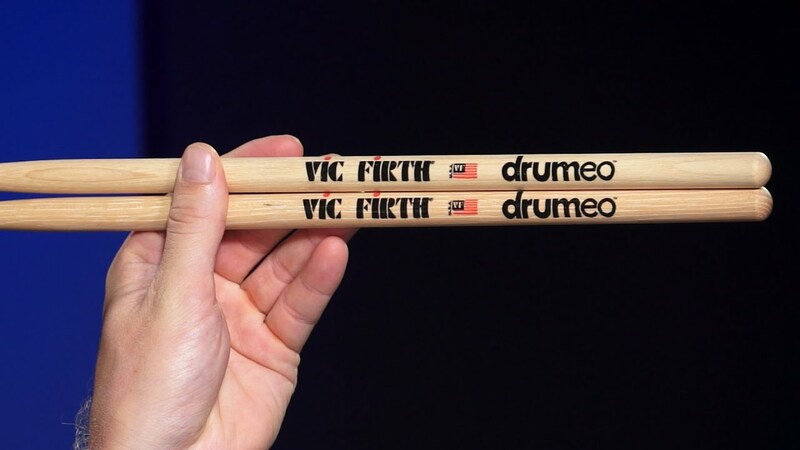 ^ Contemporary Musicians. Biography in Context. June 12, 1989. ^ "Winner of Roy Clark's Tripacer named". General Aviation News. Generalaviationnews.com. Retrieved 2015. 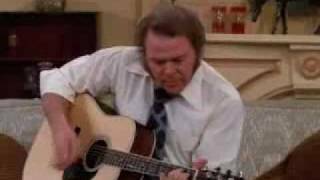 ^ "Hanging Loose at 1,500 Feet, Upside-Down Roy Clark Prays, 'Seat Belt, Do Your Stuff'". People.com. Retrieved . ^ "Roy Clark biodata". 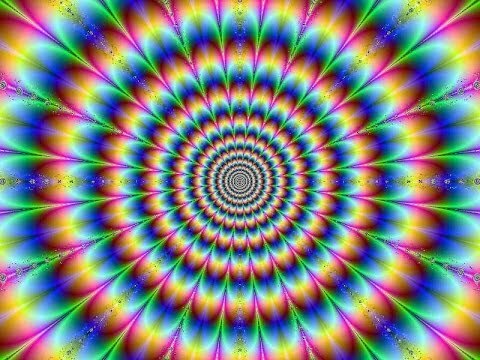 Great-music.net. Retrieved . 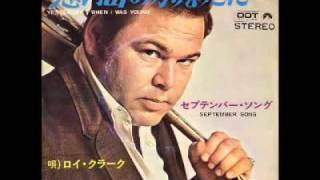 ^ "Biography for Roy Clark". IMDb.com. Retrieved 2012. ^ Liner notes for the 1961 Wanda Jackson album, There's a Party Goin' On; retrieved October 27, 2012. ^ Scott H (12 May 2012). 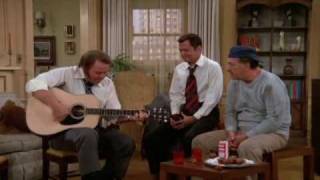 "Roy Clark - Malaguena (The Odd Couple)". YouTube. Retrieved 2017. ^ "Roy Clark Semi-Hollow Body". Heritage Guitar, Inc. Retrieved 2016. ^ "A Nation Bids Mantle Goodbye Today". St. Petersburg Times (August 15, 1995). August 15, 1995. ^ "Nonfiction Book Review: 'My Life in Spite of Myself'". Publishers Weekly. February 28, 1994. Retrieved 2016. ^ Krehbiel, Randy. 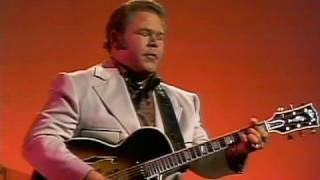 "BRIEF: Roy Clark honored as Music Ambassador for Children". Tulsa World (OK) (12 Apr. 2011). Newspaper Source Plus. 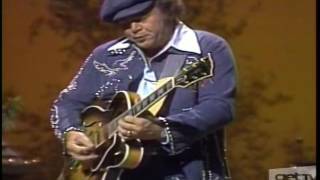 Donny & Marie Osmond W/ Roy Clark - "Foggy Mountain Breakdown"
Roy Clark can play any genre! 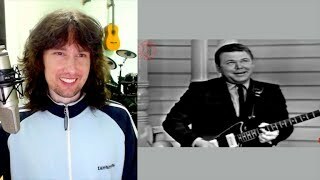 Austin City Limits 501: Roy Clark and Gatemouth Brown - "Under the Double Eagle"
British guitarist reacts to Roy Clark's comedic SHREDDING!